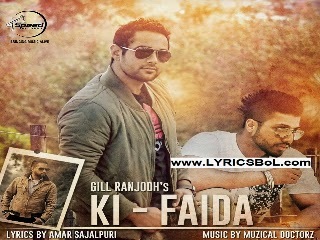 Ki Faida (fayeda) is an upcoming song from Gill Ranjodh download full mp3 video. The song lyrics are penned by Amar Sajalpuri. The music is composed by Muzical Doctorz.